If you’re working with a tight space and a tight budget, opt for just a basic powder room. You’ll only need to install a small sink and a toilet. This can save you on the costs of extensive plumbing work, as well as on the hardware and fixtures. A sink and toilet are all that’s needed for a functional half bath in a basement that serves as an entertaining or lounging space. If you want your basement bathroom to have a high end style that matches the other areas of your home, plan to put more of your budget towards the features. Choose a sleek porcelain sink and a modern faucet. Since it’s a small space, splurge on the tiles for the walls and floor. These seemingly small design elements can instantly add elegance and style to the room, upgrading it from ordinary to exceptional. If you do have the space and the budget for a bath/shower, choose a walk in shower. Not only will it take up less space and be more affordable, but it will also suit the rest of the room. If your basement functions as a guest room or in-law suite for visits, a shower is a major key. A walk in shower with tiled walls and a glass door look especially elegant in a small bathroom. 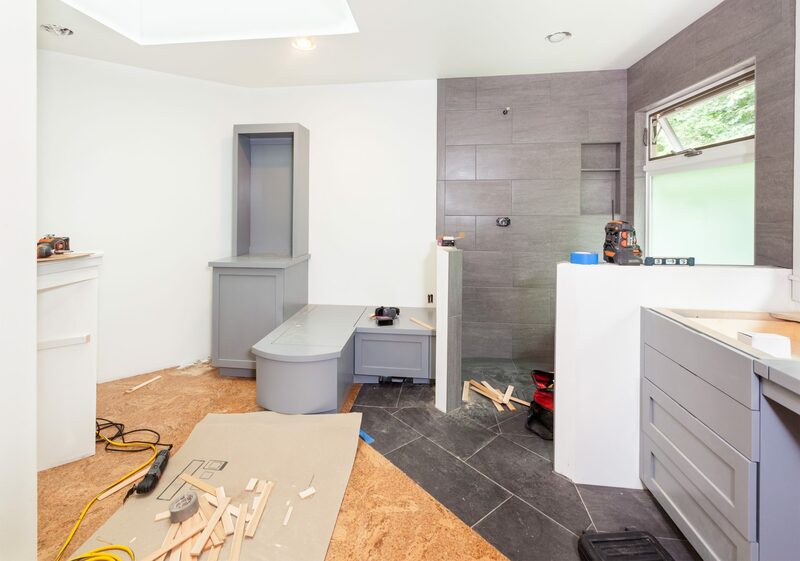 A basement bathroom remodeling project is a great way to add value to your home, both in style and function. Make the basement a more comfortable and convenient place to spend time. If you want to focus on fixing up your basement bathroom today, schedule a consultation with Columbus Bath Design by Luxury Bath.